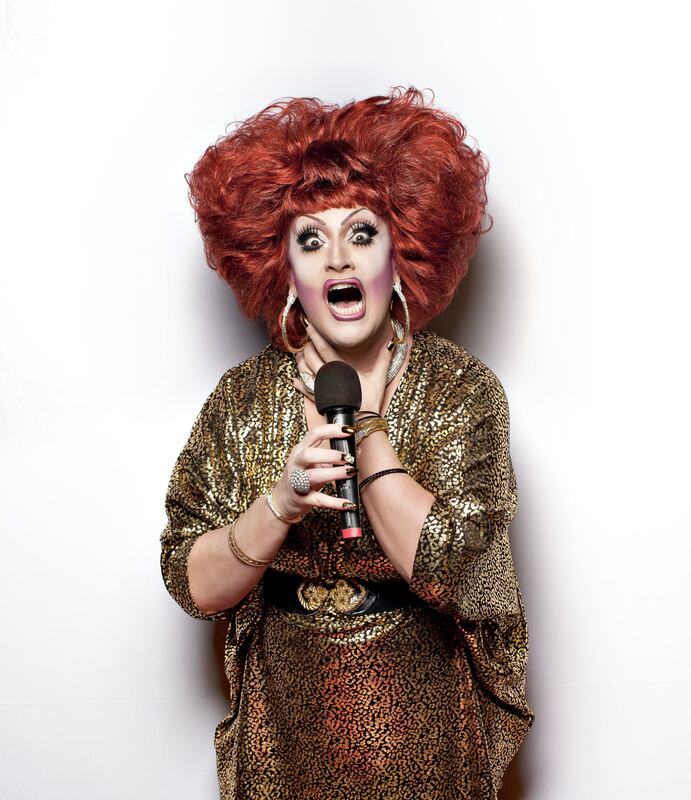 Pride House founder, Dean Nelson, will be awarded the Pioneer Award at the 35th annual IGLTA gala Voyager reception and awards dinner on Friday, May 11th, 2018. In an effort to help build the Pride House legacy we are working with the Canadian Olympic Committee, Hockey Canada, Pride House International, the IGLTA, and Tourism Toronto in a charity auction that will benefit the ongoing work for this year’s Pride House producer, the Korean Sexual Minority and Culture Rights Centre (KSCRC). Bids now OPEN until Monday, April 2nd 1PM PST for this rare Sports History memorabilia on eBay.ca. BIDDING IS NOW CLOSED. 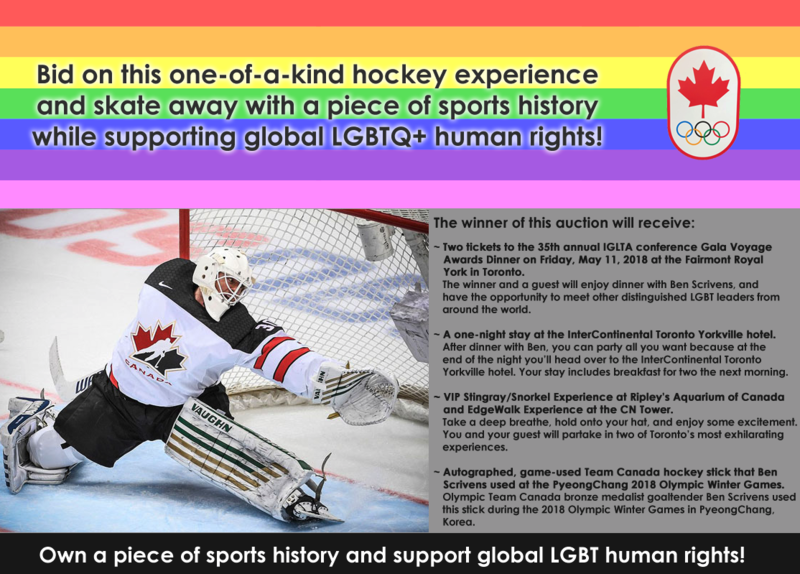 Bid on this one-of-a-kind hockey experience and skate away with a piece of sports history while supporting global LGBTQ human rights! 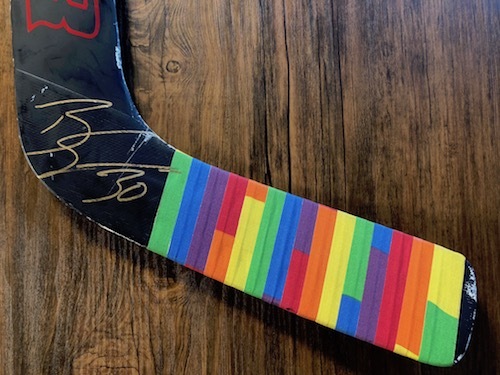 Canadian Olympic Bronze medalist and LGBT sports ally, Ben Scrivens of Team Canada has donated his goalie stick used at the 2018 Olympic games. At the official opening of the Pride House, hosted within the Canadian Olympic House Ben presented Pride House with his goalie stick, signed it in gold ink and wrapped the blade in Pride hockey tape as a memento of this year’s historic games for LGBT visibility. 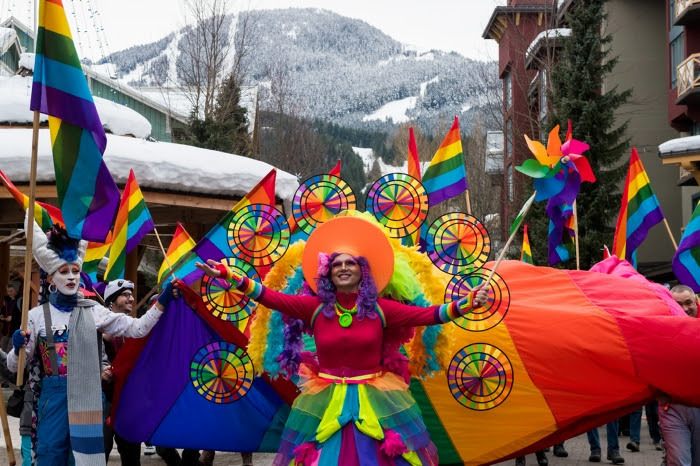 PyeongChang was the site of the first Asia’s Pride House, a safe and welcoming space for LGBTQ fans, athletes, and allies at large-scale sporting events. LGBT rights are still fragile in Korea and funds raised from this auction will help continue the work in overcoming homophobia and transphobia. A goal of $5,000 or more will enable the Korean Sexual Minority and Culture Rights Centre (the 2018 executive Producers of this year’s Pride House at the Olympics) to build on the LGBT visibility at these games. The funding will enable the group to do outreach to a minimum of ten communities in rural and outlining communities in South Korea. 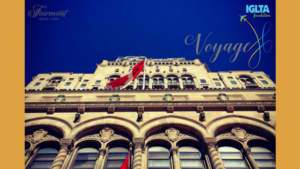 Two tickets to the 35th annual IGLTA conference Gala Voyage Awards Dinner on Friday, May 11th at the Fairmont Royal York, Toronto, ON. The winner and a guest will enjoy dinner with Ben Scrivens and have the opportunity to meet other distinguished LGBT leaders from around the world. One-night stay at the InterContinental Toronto Yorkville Hotel. After dinner with Ben, you can party all you want because at the end of the night you will head over to the InterContinental Toronto Yorkville hotel. Sleep in and enjoy breakfast for two. VIP Toronto Experience: Take a deep breath, hold onto your hat, and enjoy some excitement. You and your guest will have the opportunity to partake in two of Toronto’s most exhilarating encounters. EdgeWalk Experience at the CN Tower. Skate away, so to speak, with an Autographed, game-used Team Canada hockey stick that Ben Scrivens used at the PyeongChang 2018 Olympic Winter Games. Olympic Team Canada bronze medalist goaltender Ben Scrivens used this stick during the 2018 Olympic Winter Games in PyeongChang, Korea. 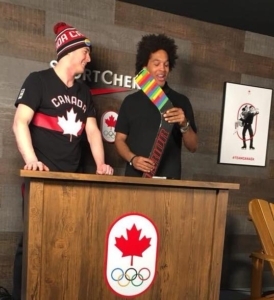 Part of the official opening of the first Asia Pride House hosted within the Canada Olympic House, Ben presented the organizers with the stick that they could use to commemorate the historic occasion of creating unprecedented LGBT visibility at the 2018 Winter Olympics. For complete terms and conditions of the auction please visit the official eBay auction site for more information. 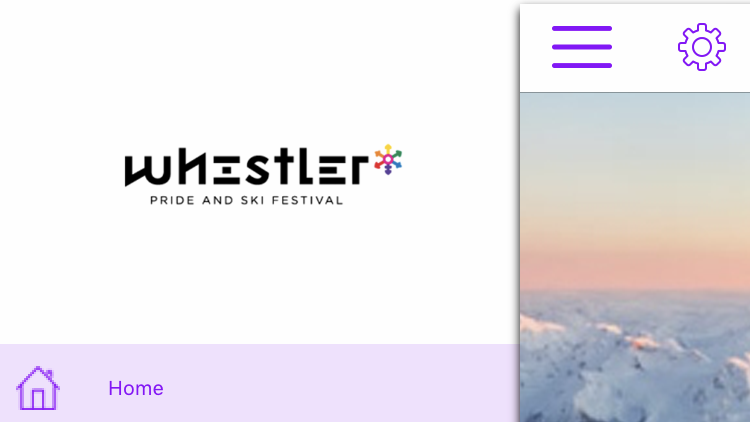 Tourism Toronto, Ripley’s Aquarium of Canada, CN Tower, Intercontinental Toronto Yorkville, the IGLTA – International Gay Lesbian Travel Association, the Canadian Olympic Committee, Hockey Canada, AuctionJam, eBay.ca, and Canadian Olympian Ben Scrivens. Thank you to VIA Rail Canada for your partnership in helping to bring our Olympian out to Toronto.